Bear Sanctuary – Saved Or Not? It’s so nice to be able to post a wonderful animal news story. 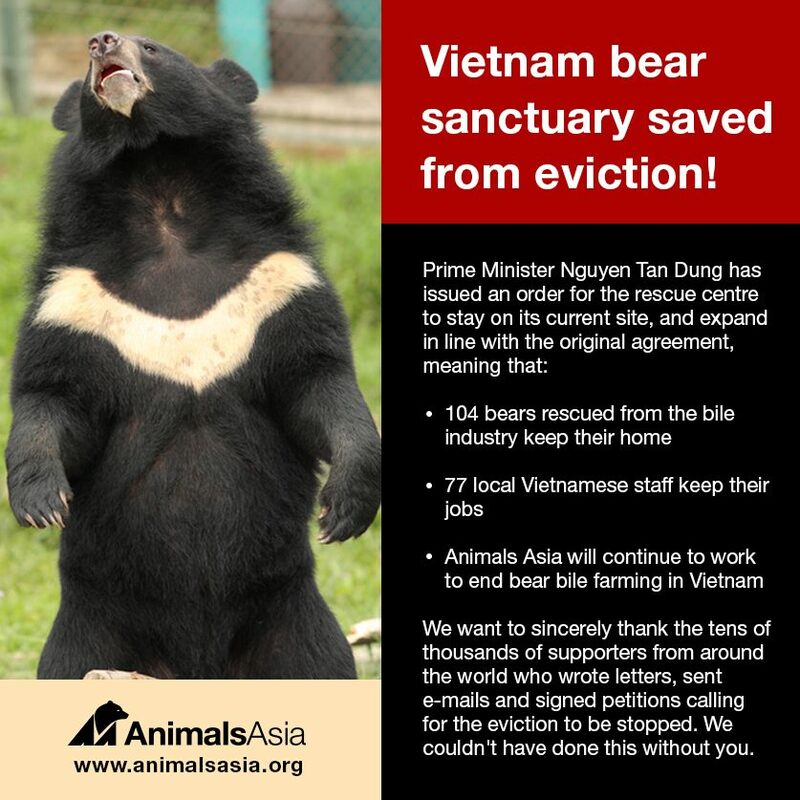 This bear sanctuary in Vietnam, home to bears who have been rescued from cruel and deplorable conditions in bear bile farms, was scheduled to be closed so the land could be developed. There was an incredible online outcry from around the world. People wrote letters and signed petitions. The sanctuary was saved. I signed the petition and encouraged my Internet friends to do likewise. It feels so good to see the result of global citizen action resulting in a wonderful outcome! Keep Up The Great Work – Animals Asia!